Centre for Consumer Society Research & Rajapinta ry. Nelimarkka, M. & Laaksonen, S-M. (2018). Bitit ja politiikka: tervetuloa laskennallinen yhteiskuntatieteen tutkimus. Introduction to a special section in Politiikka : Valtiotieteellisen yhdistyksen julkaisu 60(2), 130-131. Ravaja, N.; Aula, P.; Falco, A.; Laaksonen, S-M.; Salminen, M. & Ainamo, A. (2015). Online news and corporate reputation: A neurophysiological investigation. Journal of Media Psychology, 27(3): 118-133. Laaksonen, S-M (2014). Tunnepääomalla särkymättömiä sidosryhmäsuhteita. In Luoma-aho. V. (Ed.). Särkymätön viestintä. ProComma Academic 2014. Laaksonen, S-M., & Porttikivi, M. (2014). Constructing local heroes – collaborative narratives of Finnish corporations in Wikipedia. In Fichman, P., & Hara, N. (Eds.). Global Wikipedia: International and Cross-Cultural Issues in Online Collaboration. Scarecrow Press, pp. 119-133. Hakala, S.; Tikka, M.; Silvast, A.; Pedak, M., & Laaksonen, S-M. (2014). Pieni vuoto, iso päästö – Kriisiharjoitus ydinvoimalassa. Etnografinen tutkimus onnettomuusharjoituksen viestinnästä. Työelämän tutkimuspäivien konferenssijulkaisuja 5 / 2014, pp. 35-51. Laaksonen, S-M. & Matikainen, J. (2013). Tutkimuskohteena vuorovaikutus ja keskustelu verkossa, Julkaisussa: Otteita verkosta. Verkon ja sosiaalisen median tutkimusmenetelmät. Laaksonen, S-M., Matikainen, J. & Tikka, M. (toim.). Vastapaino. Laaksonen, S-M.; Falco, A.; Salminen, M.; Aula, P.; Ravaja, N.; Ainamo, A., & Neiglick, S. (2012). Digital Reputation. Characterizing and measuring reputation, reputation risk, and emotional responses to reputation in digital publicity. Final Report. Media and Communication Studies Research Reports 2/2012. Communication Research Centre CRC: Helsinki. Master’s thesis: Laaksonen, S-M. (2008). Narratives of organizational reputation in social media. Available in Finnish: Organisaatiomaineen tarinat sosiaalisen median keskusteluissa. Pro-gradu, Helsingin yliopisto, valtiotieteellinen tiedekunta, viestinnän laitos. Between the street and the virtual: Communicative organizing of the Right to Live demonstration. Full paper and presentation at EGOS Colloquium 2018, Tallinn, Estonia. Co-authored with Erna Bodström and Camilla Haavisto. Laaksonen, S-M & Porttikivi, M. (2017). Jamming the political with intergalactic peace – Networked episodes of anti-racism. Paper presented at EGOS Colloquium, Copenhagen, Denmark, 6-8 July 2017 and AoIR 2017, Tarto, Estonia, 19-21 Oct 2017. Laaksonen, S-M & Porttikivi, M. (2017). Substitute address for a political ideology – Communicative constitution of a social movement organization in Facebook admin conversations. Paper presented at ICA 2017, San Diego, CA, US, May 25-29. Nelimarkka, M.; Laaksonen, S-M.; Marttila, M.; Kekkonen, A.; Tuokko, M. & Villi, M. (2016). Influencing the news through social media: Online agenda building and normalization during a pre-electoral campaign period. Paper presented in ICA 2016, Fukuoka, Japan, 9-13 June 2016. Nelimarkka, M.; Laaksonen, S-M.; Marttila, M.; Kekkonen, A.; Tuokko, M. & Villi, M. (2015). 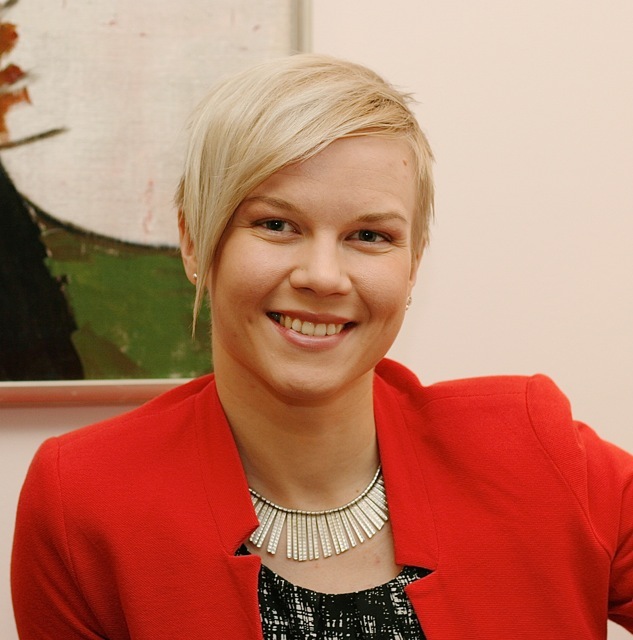 Online agenda building and normalization in the Finnish 2015 Parliamentary Election. Paper presented in Nordmedia 2015, Copenhagen, August 13-15 2015. Laaksonen, S-M. & Porttikivi, M. (2015). Constituting a partial organization in Facebook through metaconversation. Paper presented at EGOS 2015 Colloquium, Athens, Greece, July 2-4 2015. Pedak, M.; & Laaksonen, S-M.; Hakala, S.; Tikka, M.; Silvast, A. (2014). Small leak or significant release? An ethnographic study of sensemaking in a nuclear power plant emergency exercise. Paper presented at EGOS2014 Colloquium, July 3-5, Rotterdam, the Neatherlands. Falco, A.; Laaksonen, S-M.; Aula, P.; Ravaja, N.; Salminen, M. (2013). Emotional experiences of media reputation as predecessors of media consumption. Paper presented at NordMedia 2013 Conference in Oslo, Norway (8-11 August 2013). Laaksonen, S-M. & Porttikivi, M. (2013). Entries as Boundary Objects: Collaborative Constitution of Finnish Corporations in Wikipedia. Paper presented at EGOS2013, July 4-6, Montréal, Canada. Aula, P.; Falco, A.; Laaksonen, S-M.; Ravaja, N.; Salminen, M. (2013). Effects of emotional reputation: measuring the emotional responses to reputational information online. Paper presented at Reputation Institute 17th International Conference on Corporate Reputation, Brand Identity and Competitiveness, June 5-7, 2013, Barcelona, Spain. Laaksonen, S-M., & Porttikivi, M. (2012). Collaborative Narratives – representations of Finnish corporations in Wikipedia. Paper presented at ECREA 2012 4th European Communication Conference, Mimar Sinan Fine Arts University, Istanbul, Turkey. Laaksonen, S-M.; Falco, A.; Salminen, M.; Aula, P.; Ravaja, N. & Ainamo, A. (2011). Reputation as emotional experiences – the use of psychophysiological measurements in corporate reputation research. Paper presented at NordMedia 2011 Conference in Akureyri, Iceland (August 11th – 13th 2011). Aula, P., Laaksonen, S-M., Neiglick, S., Ravaja, N., Salminen, M., Ainamo, A. & Näsi, M. (2010).Wired reputation: the psychophysiology of interpretations (pdf, 100kB). Conference paper presented at 14th International Conference on Corporate Reputation, Brand, Identity and Competitiveness, Rio de Jainero, Brazil. Aula, P. & Laaksonen, S-M. Reputational risk in digital publicity (pdf, 36 kB). Paper presented at Viestinnän tutkimuksen päivät, 12.-13.2.2010, University of Tampere, Finland. Keskustelukuplia ja kaikukammioita: missä on demokratian dialogi verkossa? Kirjoitus Oikeusministeriön Demokratiassa kuplii: Dialogin mahdollisuus suomalaisessa digiyhteiskunnassa -pamfletissa (27.11.2017). Miten somesta kerättyjä aineistoja käsitellään? Blogikirjoitus Etiikka.fi-sivustolla 3.10.2017. Nelimarkka, Matti & Laaksonen, Salla-Maaria (2015). Yhteiskunnallista analyysia ohjelmakoodilla. Kirjoitus Uutistamo-sivustolla 21.5.2015. Laaksonen, Salla-Maaria (2014). Viisi vinkkiä sosiaalisen median käyttöön avoimessa yliopisto-opetuksessa. Blogikirjoitus Avoimen yliopiston verkko-opetuksen tukiblogissa. Laaksonen, Salla-Maaria @jahapaula (2011). Digitaalisen julkisuuden toimijaroolit. Nosto teoksessa Korpiola, Lilly (2011). Kriisiviestintä digitaalisessa julkisuudessa. Infor, Helsinki. I regularly blog on Rajapinta.co. Juho Pääkkönen, Salla-Maaria Laaksonen & Mikko Jauho (2019). Expectations on Automated Future in Social Media Analytics. Presentation at the Moral Machines: Ethics and Politics of the Digital World conference, March 6-8 2018, Helsinki, Finland. Veganism in social media and at the cash register. Presentation at the Kulutustutkimuksen syysseminaari, Jyväskylä, November 2018. With Essi Pöyry & Veikko Isotalo. The social life of visualizations in data-intensive social research. Presentation at the Journeying with Social Media Data session at The Social and Political Life of Methods -conference, University of Helsinki. October 23rd, 2018. Mikko Jauho, Salla-Maaria Laaksonen & Juho Pääkkönen. Broadcast Ourselves: the politics, channels, genres and brands of Finnish anti-immigration movements on YouTube. Paper presented in the IPP Internet, Policy & Politics Conference 2018, Oxford, September 2018. Salla-Maaria Laaksonen ​, Gavan Titley ​ & Mervi Pantti. Dreaming the Machine: The problematic datafication of online hate speech. A presentation at the Methodological Challenges of Hateful and Problematic Content Detection Online panel at ICA 2018, Prague, Czech Republic, May 25-28. Co-authored with Jesse Haapoja, Reeta Pöyhtäri, Matti Nelimarkka, Juho Pääkkönen and Teemu Kinnunen. Finding the voice of a protest: negotiating authority over the multiplicity of voices in the Right to Live demonstration. Presentation at the ICA 2018 preconference Exploring tensions between plurivocity and univocity, Praque, May 2018. Salla-Maaria Laaksonen, Erna Bodström, & Camilla Haavisto. Less Hate in Politics: Identifying and monitoring hate speech during election time. Lecture at Freie Universität Berlin, May 16rh, 2018. Ethical use of social media data – best practices and case examples. Lecture at the SOMERI seminar 24.11.2017, University of Jyväskylä, Finland. Totems of data: performativity and social power of data in analytics companies. Presentation at ECREA Digital Democracy: Critical Perspectives in the Age of Big Data conference, November 10-11, 2017, Södertörn, Stockholm, Sweden. Dreaming the Machine: The problematic datafication of online hate speech. A presentation at the Feeling Data workshop, Helsinki, Finland Nov 1 2017. Co-authored with Jesse Haapoja, Reeta Pöyhtäri, Matti Nelimarkka, Juho Pääkkönen and Teemu Kinnunen. Less Hate in Politics! Machine Learning and Interventions as Tools to Mitigate Online Hate Speech in Political Campaigns. A preconference of AoIR Association of Internet Researchers conference 2017, Tarto, Estonia, October 18th 2017. Digital dynamics of accountability – Finnish Immigration Service during the “European refugee crisis”. Presentation and full paper in Nordmedia 2017, Tampere, Finland, August 17-19. Co-authored with Markus Ojala and Mervi Pantti. Jamming the political with intergalactic peace – networked episodes of anti-racism. Presentation and full paper in EGOS 2017, Copenhagen, Denmark, July 5-7, 2017. Co-authored with Merja Porttikivi. Substitute address for a political ideology – Communicative constitution of a social movement organization in Facebook admin conversations. Presentation and full paper in ICA 2017, San Diego, CA, US, May 25-29, 2017. Co-authored with Merja Porttikivi. Voting Advice Applications as a boundary object for political influence and discussion. Presentation and full paper at IPP2016 Internet, Policy & Politics Conference, Oxford Internet Institute, University of Oxford, September 22-23, 2016. Using Shared Meanings to Constitute an Online Organization in Metaconversation. AOM2016: 77th Annual Meeting of the Academy of Management, Anaheim, California, United States, August 5-9, 2016. Paper co-authored with Merja Porttikivi. Influencing the news through social media: Online agenda-building and normalization during a pre-electoral campaign period. Presentation at the ICA2016: 66th Annual Conference of the International Communication Association: Communicating With Power, Fukuoka, Japan, June 9-13, 2016. Communicative accomplishment of risk and safety during a nuclear emergency exercise. Presentation and short paper at ICA 2016 Preconference: Remembering, Regulating, and Resilience: Investigating the Communicative Accomplishment of Safety and Reliability Organizing, Fukuoka, Japan June 9th 2016. Maine24: Suomalaisten pörssiyritysten maineen ulottuvuudet anonyymeissä verkkokeskusteluissa ja mainemittauksissa. Presentation in MEVI2016 The Finnish Conference for Media and Communication Research, April 8th – 9th 2016, Arcada, Helsinki. Co-authored with Petro Poutanen. Data augmented ethnography: using big data and ethnography to explore candidates’ digital interactions. Presentation in SOMERI Social Media Research Symposium: Successes and failures in studying social media: Issues of methods and ethics, University of Jyväskylä, November 20 2015. Online agenda building and normalization in the Finnish 2015 Parliamentary Election. Paper presented in Nordmedia 2015, Copenhagen, August 13-15 2015. Co-authored with Nelimarkka, M., Marttila, M. Kekkonen, A., Tuokko, M., Villi, M.
Constituting a partial organization in Facebook through metaconversation. Paper co-authored with Merja Porttikivi and presented at EGOS 2015 Colloquium, Athens, Greece, July 2-4 2015. 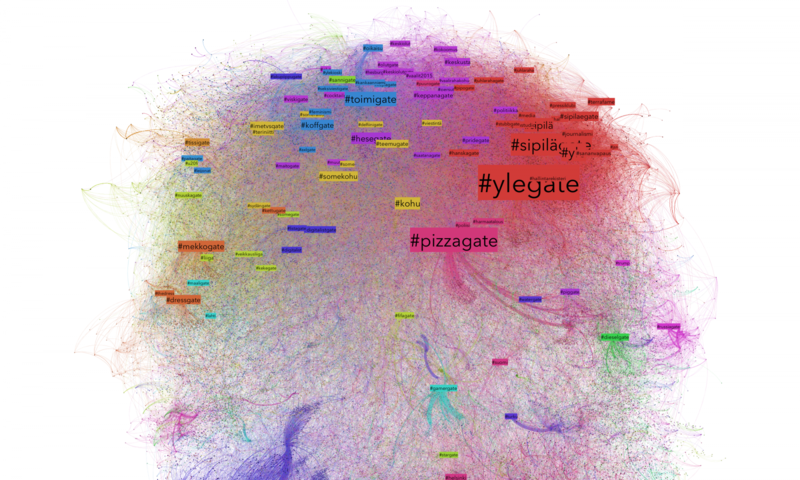 How political supporters network, communicate and disseminate information online? The Case of Finnish Presidential Elections 2012. Sino-Finnish Summer School on Social Media Data Analysis. August 11, 2014, University of Tampere, Finland. Presented with Olli Parviainen and Petro Poutanen. Small leak or significant release? An ethnographic study of sensemaking in a nuclear power plant emergency excercise. EGOS Colloquium, Rotterdam, Neatherlands 4.7.2014. Presented with Maarit Pedak. Emotional experiences of media reputation as predecessors of media consumption. Paper presented at NordMedia 2013 Conference in Oslo, Norway (8-11 August 2013). Co-authored with Falco, A.; Laaksonen, S-M.; Aula, P.; Ravaja, N.; Salminen, M.
Entries as Boundary Objects: Collaborative Constitution of Finnish Corporations in Wikipedia. Paper presentation at EGOS2013, July 4-6, Montréal, Canada. Co-authored with Merja Porttikivi (Aalto university). Effects of emotional reputation: measuring the emotional responses to reputational information online. Paper presentation at Reputation Institute 17th International Conference on Corporate Reputation, Brand Identity and Competitiveness, June 5-7, 2013, Barcelona, Spain. Co-authored with Aula, P.; Falco, A.; Ravaja, N.; Salminen, M.
Reputation as frame: studying corporate associations behind reader expectations in media consumption. Presentation at ECREA 2012 4th European Communication Conference, Mimar Sinan Fine Arts University, Istanbul, Turkey, co-authored with Pekka Aula (HY). Collaborative Narratives – representations of Finnish corporations in Wikipedia. Paper presented at ECREA 2012 4th European Communication Conference, Mimar Sinan Fine Arts University, Istanbul, Turkey. Co-authored with Merja Porttikivi, Aalto University. Reputation as emotional experiences – the use of psychophysiological measurements in corporate reputation research (2011). Presentation at NordMedia 2011 Conference in Akureyri, Iceland (August 11th – 13th 2011). Tutkijan näkökulmia aineiston ja tutkimusprosessin avaamiseen. Avauspuheenvuoro Avoimen tieteen osaajakoulutuksessa 26.11.2015. Digivaalit 2015 — Kuka vaikutti julkisuuden agendaan eduskuntavaalien alla? Lahti Science Day, Lahden yliopistokampus, 10.11.2015. Nettiväki ja vaatteet – kuluttajayhteisöt digiajalla. Esitys verkon kuluttajayhteisöistä Tekstiili- ja Muotialat TMA:n Muoti- ja urheilukauppa 2016 Suhdanneseminaarissa 2.9.2015. Digivaalit 2015. Big data -tutkimus vaalijulkisuuden agendasta. Puheenvuoro ProCom ry:n vaikuttajaviestinnän jaoston tilaisuudessa Vaikuttamisen ja vakuuttamisen uudet ilmiöt #Vaalit 2015 20.5.2015. Environments and Tools for Networking – Social Media. Verkostoitumiskoulutus tutkijoille ja asiantuntijoille, Helsingin yliopiston henkilöstökoulutus 15.4.2015. Irti Moodlesta – verkko-opetuksen avulla ulos ja yhteiskuntaan. Puheenvuoro Avoimen yliopiston opetuksen helmet -seminaarissa 5.6.2014. Sivistystoimi ja maineenhallinta. Palmenian Sivistystoimen huippujohtaja -koulutuksen webinaari 6.3.2014. Wikipedia Hands On – verkkotietosanakirjan päivitystyöpaja tutkijoille. Workshop Helsingin yliopiston Tiedekulmassa 26.2.2014. Verkkomaineesta kohti sisältöstrategiaa. Puheenvuoro Palmenian sisältöstrategiaseminaarissa (Sosiaalisen median seminaarisarja) 7.2.2013. Oppilaitoksen rajapinnoilla. Verkkoviestinnän hyödyntäminen oppilaitoksen viestinnässä ja maineenhallinnassa. Palmenian TVT koulun johtamisen välineenä -koulutuksen webinaari 23.1.2013. Digitaalinen maine. Puheenvuoro SOSTE ry:n Digitaalisen järjestöviestinnän koulutuksessa 10.12.2012. Maine sosiaalisessa mediassa. Näkyvyyttä, läsnäoloa ja suhdetoimintaa. Luento,COMMA VlI – Viestinnän johtamisen koulutusohjelma 2012-2013, 26.11.2012. Sosiaalinen media kriisiviestinnässä. Puheenvuoro ministeriöiden valmiuspäällikkökokouksessa 14.11.2012. Vuoropuhelua vai tönäisyviestintää? Näkyvyyttä, läsnäoloa ja suhteita sosiaalisessa mediassa kuntatoimijoille. Luento, Kunnan viestintä -koulutusohjelman Verkkoviestinnän teemapäivä, 31.10.2012. Organisaatio tarinankertojana – miten tarinallisuutta voi hyödyntää viestinnässä. Luento, Palmenian kansainvälisen viestinnän koulutus, 29.8.2012. Sosiaalisen median tekstietiketti 2012. Sihteereiden ja toimistotyön koulutusfoorumi 2012, 6.6.2012, FCG Helsinki. Digitaalinen kahvipöytä – eli miten mainetarinat syntyvät sosiaalisessa mediassa? Palmenian huippuseminaari 22.5.2012, Hiihtomuseo, Lahti. Hyvästi pop-up-mainokset! Verkkomarkkinoinnilla mainetta, näkyvyyttä ja suhteita. Kuntamarkkinoinnin koulutustilaisuus, FCG, Helsinki, 24.11.2011. Tiede sosiaalisessa mediassa (5 op). Tiedeviestinnän harjoituskurssi, tiedeviestinnän opintokokonaisuus, sosiaalitieteiden laitos, Helsingin yliopisto, syksy 2014 ja 2015. M5 Syventävät menetelmät: Käyttäjätutkimus ja haastattelut. Syventävien opintojen kurssin pienryhmä, Helsingin yliopisto, Sosiaalitieteiden laitos / viestintä. Tammi-helmikuu 2013/2015; same course in English Jan-Feb 2014/2015. K5 Tieteellinen ajattelu ja työskentely (5 op). Verkkokurssi Helsingin yliopiston avoin yliopisto, syksy 2013, kevät 2014. A9 Ihmiset ja organisaatiot sosiaalisessa mediassa (5 op). Aineopintojen verkkokurssi Helsingin yliopiston Avoin yliopisto, viestintä, kevät 2013, 2014, syksy 2015. A8 Verkkoviestinnän harjoituskurssi (5 op). Aineopintojen kurssi, Helsingin yliopisto, Sosiaalitieteiden laitos / viestintä. Syys-lokakuu 2012. M14 Sosiaalisen median artikkelilukupiiri (5 op). Syventävien opintojen kurssi, Helsingin yliopisto, Sosiaalitieteiden laitos / viestintä. Maalis-huhtikuu 2012. A9 Sosiaalinen media ja Web 2.0 (5 op). Aineopintojen verkkokurssi Helsingin yliopiston Avoin yliopisto, viestintä. Syksy 2010 ja kesä 2011. Chair of Division 8: Organization, Communication and Society in Nordmedia. Chair of the scientific association Rajapinta ry. 2019-2020, Vice Chair 2017-2018. Member of board in MEVI – Media- ja viestintätieteellinen seura ry. (Finnish Association of Media and Communication Studies), 2011-2017.